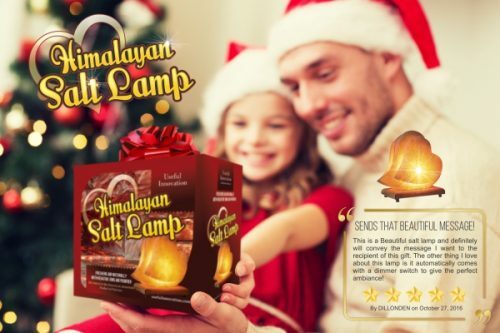 When the light is set at its brightest setting, this is when the full benefits of the Himalayan Salt Lamp are released. Salt is hygroscopic, meaning that it attracts water to its surface. When the lamp becomes heated, the salt attracts the water particles to the lamp, including small dust, pollen, and mold particles. All of these particles attach to the lamp, and the allergens remain on the lamp’s surface while the water evaporates into the air once again. The warm, orange glow of the Himalayan Salt Lamp has calming and healing properties. Most electronics and light sources have a harsh blue light which can wreak havoc with sleep cycles and cause health problems. The lamp exudes negative ions to neutralize the positive ions that are emitted from all the electronics, creating a better air quality within the room.